I am really very honoured to have been asked for the second year to be a judge on the Free From Food Awards. I have stated before my admiration for Michelle at Food Matters (read her interview here) and what she and her team take on every year. These awards celebrate, recognise and reward the food producers and businesses in the UK who are bringing innovation, quality and allergen free food to a dedicated and hungry bunch of consumers. A group that continues to grow in size, appetitive and discernment all the time. In line with this growth in the market, there has yet again been another rise in entries. Goodness knows how Michelle and her team organise the logistics of not only product, but information, cooking, judges, and timings. It is a massive undertaking, and I on behalf of the free from community thank them. Not only is it important to celebrate some of the things crazy people go long lengths to make gluten, dairy, egg, and nut free. But it is essential to acknowledge the improvement in quality. In just the time I have been diagnosed – just short of 10 years – the improvements across the board in free from foods has been incredible. But there is still a long way to go, and these awards help to sing the praises of the people really doing it well. As I have conducted for this site before, we taste all the products blind and numbered. Only the product attributes will be judged. All preconceived ideas about the product and brand are left at the door for a level playing field. 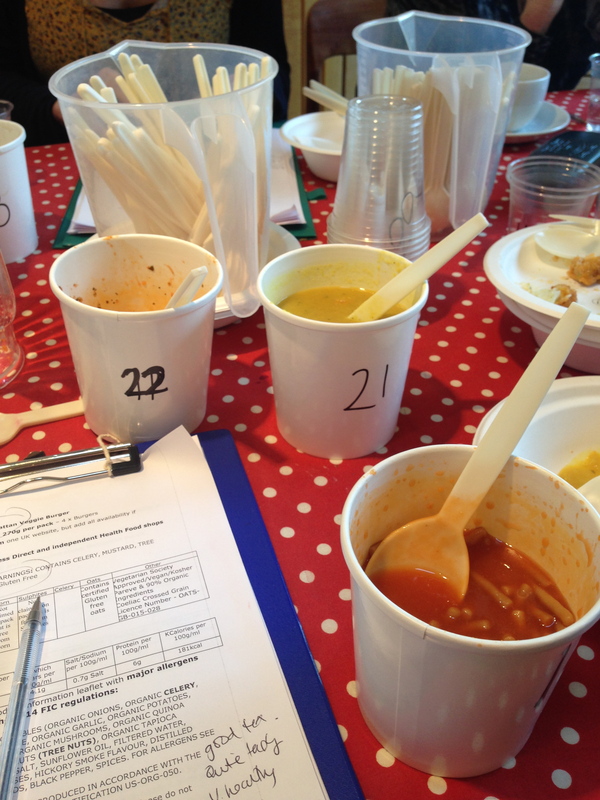 A range of judges, including gluten free, people with various allergies, “normal” consumers and foodies all jostle to give their own important viewpoint on each product. This may sound simple but the needs of a coeliac are VERY different to that of someone allergic to egg and nuts. So there is hearty debate. Sometimes heated debate. This year we almost had a stalemate where we could not agree on a winner. 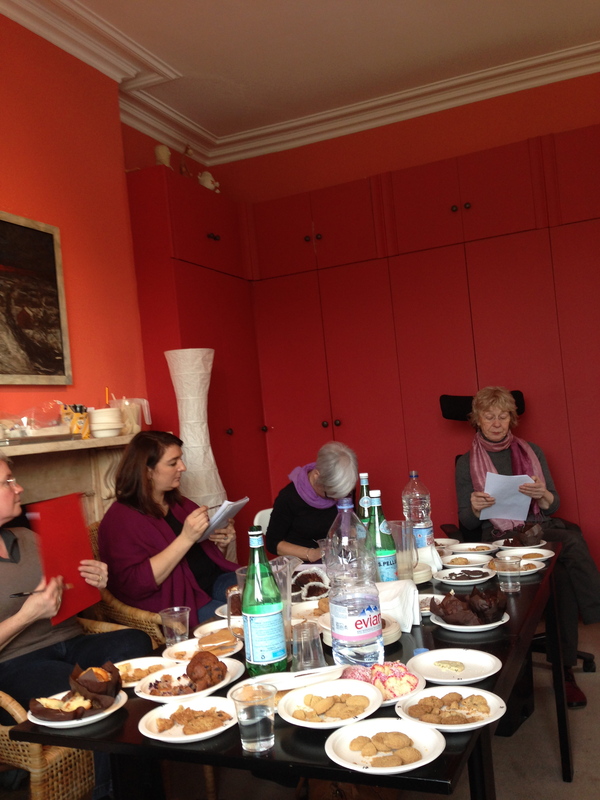 But as ever Michelle helped bring the conversations to an agreeable conclusion. I had the joy of Tea Time Treats to judge. 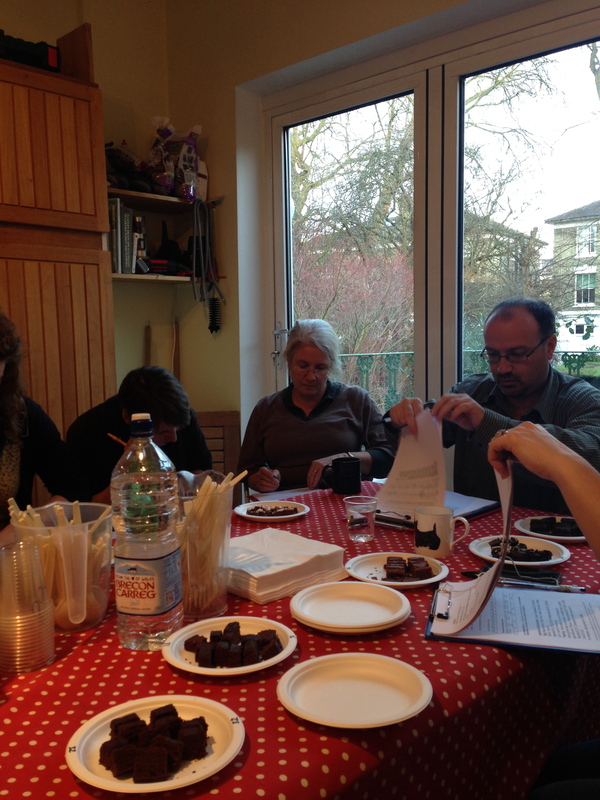 Over 50 cakes, biscuits, muffins and sweet treats to sample, critique and ponder, to find a winner. Sadly, I was uninspired by the range on offer and really felt like it underrepresented the category as a whole. Too many chocolate brownies, muffins and bland biscuits and not nearly enough artisan bakers. If you are a small producer you really should enter these awards… your product will shine against mass produced, additive laden, uninspired bakes. I was also panelled on the Veggie Ready meals – a difficult product to get right without overloading products with cheese. I was surprised by my preferences after the big reveal (we find out manufactures after judging) and went home with my preconceived ideas in check! The shortlist is to be announced next week, so look out for any favourites. Then the winners will be awarded at the annual Free From Food Awards night on 22nd April. A fun night of free from food mingling with bloggers, producers, judges, winners, losers and sponsors. I look forward to posting about my favourites once the subject is free from embargo.